Several online news outlets, including the British Newspaper The Guardian, have been running news articles stating that British exchange pilots in the U.S flew armed American Predator drones during the Libyan conflict. The disclosure had slipped out during a parliamentary answer, some 10 months after the end of the conflict, during which the British Government had insisted that no British armed drones had been used. Whilst technically still true the MOD (Ministry of Defence) has since admitted that RAF personnel on an exchange program had indeed flown the armed predators during the conflict whom became a key part of the air war. The MoD was quick to make a statement on the subject: “There were no and are no UK remotely piloted air systems operating outside of Afghanistan. The UK armed forces routinely embed UK personnel with allied nation units (and vice versa) via exchange programmes. As confirmed by Lord Astor, UK personnel embedded within a US unit flew armed remotely piloted air systems missions against Gaddafi’s forces in Libya in 2011,” the spokesman said to The Guardian. In 2007, to operate its MQ-9 Reaper (Predator B) drone alongside the USAF in support of UK ground forces in Afghanistan, the Royal Air Force formed 39 Sqn at Creech Air Force Base in Nevada. 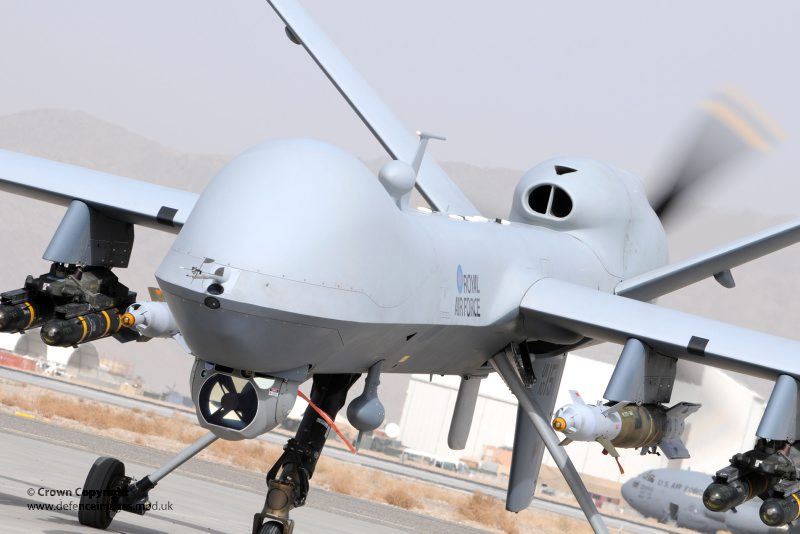 British Reapers provide real-time video imagery to ground commanders, with the capability to attack ground targets if required.